This entry was posted in Lyric Poems, meditative poem, Nature, nature poem, poem, Poems, poetry, Poetry and Photography and tagged angel, crackling, dancing, glimpsed, heart, heartwood, hotline, Mary Kendall, Patti Hardee Donnelly photograph, silvered, umbilical, wings. Bookmark the permalink. 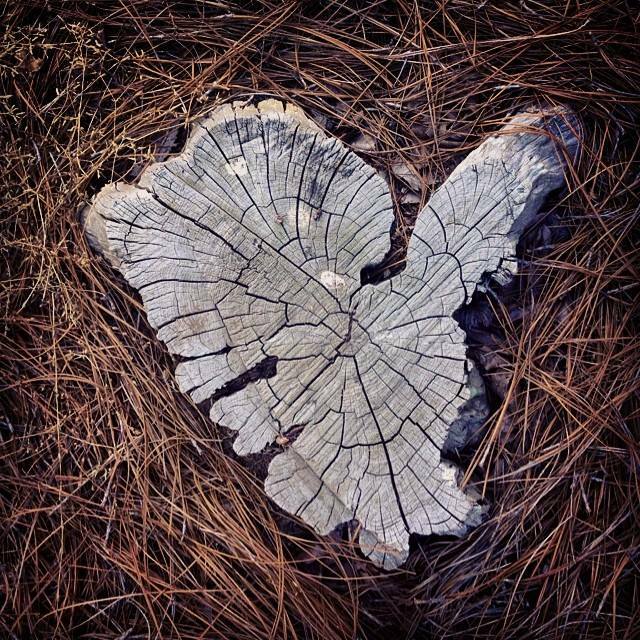 There is an angel in that old piece of heartwood. There is so much beauty around us in nature if we just take time to look around and notice. Beautiful poem. I love that Patti and I saw two things, both of which worked perfectly together. I love when someone makes/guides/helps me see something I would otherwise miss. Patti “finds” hearts everywhere. It’s a beautiful gift for everyone. I couldn’t see the heart at first when I saw the picture, but when my friend showed me, I really found the beauty in it. Your poem was touching and made me really think about the picture. Thank you, Rachel, for such a thoughtful comment. It’s fascinating what we can see when we really look. Mrs. Donnelly was a real inspiration to me. Isn’t that fascinating? You saw a bird, while I saw an angel. Thanks for sharing that with me and for reading my poems today. You and Patti help us see beauty all around us. Thank you. Patti is a real inspiration. I love how others see things with such different eyes. James, a complement like that coming from you is very flattering. Thank you so much. Why thank you, Yolanda. I’m glad you liked it.